An earlier version of this article appeared on MedCity. A recent study by Willis Towers Watson found that telehealth could save as much as $6 billion annually in U.S. healthcare costs. While this figure indicates huge potential within healthcare systems for reducing medical costs with telehealth, it’s equally important to break down these numbers into more specific return on investment use cases and data. Below are four examples of how hospitals are using telehealth to reduce medical costs and deliver high-quality care. Telehealth is being leveraged as a key part of hospitals’ programs to help combat high readmission rates. By improving follow-up and care management of a range of patients—from the chronically ill to patients recovering from surgery – hospitals can prevent many readmissions. 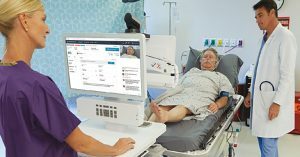 According to the Agency for Healthcare Research and Quality, 25 percent of congestive heart failure patients in the U.S. are readmitted to the hospital within 30 days, butEssentia Health has seen less than 2 percent of patients who participate in its telehealth program get readmitted in that same timeframe. A report by the Commonwealth Fund found that Partners HealthCare’s Connected Cardiac Care Program has seen a 50 percent reduction in heart failure-related readmission rates for enrolled patients since its telemedicine pilot launched in 2006. The program has estimated a total cost savings of more than $10 million. Telehealth has the potential to decrease the high costs of transporting patients. Health systems and facilities have seen significant cost efficiencies and improved outcomes through being able to avoid patient transfers. A study conducted by the Center for Information Technology Leadership (CITL) found that implementing provider-to-provider hybrid telehealth technologies would result in annual net savings of $1.39 billion in avoided inter-emergency department transfers, $270.3 million in avoided correctional facility transfers, and $806 million in avoided nursing facility transfers. Telehealth can reduce transfer costs while promoting better patient quality of life. Telehealth enables health systems to better distribute staff throughout their healthcare facilities and load-balance resources across entire systems, reaching more patients with less strain on specialist resources. Rural facilities may not have sufficient patient numbers to warrant certain types or numbers of specialists, but can treat patients effectively through telemedicine. Telehealth also improves provider-to-provider communication, which can result in improved patient care and as a result, cost savings. About 1 in 10 hospitalizations were from a potentially preventable condition, such as complications of diabetes, dehydration, and heart conditions, costing hospitals billions of dollars a year. Telehealth can prevent hospital admissions by facilitating convenient monitoring for patients at the highest risk for hospitalization, including chronic care patients and those with behavioral health conditions. 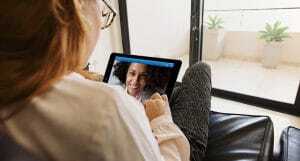 A study by the Commonwealth Fund examining the Veterans Administration’s (VA) telehealth program, Care Coordination/Home Telehealth (CCHT), saw a 20 percent reduction in patients seeking hospital services for diabetes. On the behavioral health side, the VA saw a 56 percent reduction in hospital services for depression and a 40 percent drop in hospitalizations for other mental health issues. Together, these results translate to $2,000 in per-patient annual savings. While telehealth arms health systems with the resources needed to reduce medical spend, it’s also important to note that a significant portion of the value derived from telehealth comes from greater patient satisfaction. The VA found an average patient satisfaction score of 86 percent for its Home Telehealth program. 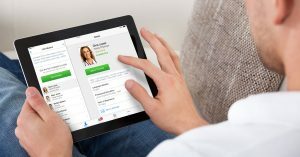 CVS, which recently implemented telehealth into its Minute Clinics, has also seen an impressive patient satisfaction rate of 90 percent with telehealth. Our app Amwell sees average patient satisfaction scores of 91%. As hospitals seek to decrease costs and increase patient satisfaction, telehealth will continue to be a critical tool to reduce costs and offer better patient care.